1.Light and portable,Ultra slim and thin,convenient for carrying,the best choice for office and entertainment. 2.High-quality workmanship and exquisite detail, all for bringing user pleasant experience. 3.Easy to use and control with a touchpad. 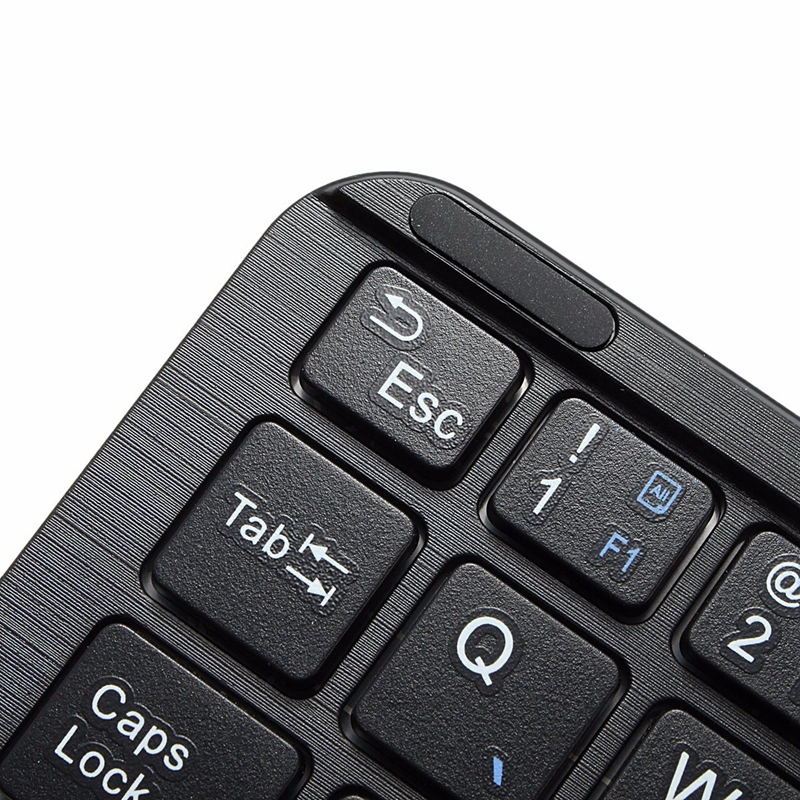 4.Smooth keys and low noise, improving work efficiency and avoiding disturbing other people. 5.Bluetooth connection, operating distance up to 10 metres. 6.Comfortable and random using as you can palce it anywhere you like for working in a casual gesture. 7.One-week sustainable working timeand intelligent sleeping,making your business trip favorably or your travel entertaining. 1. 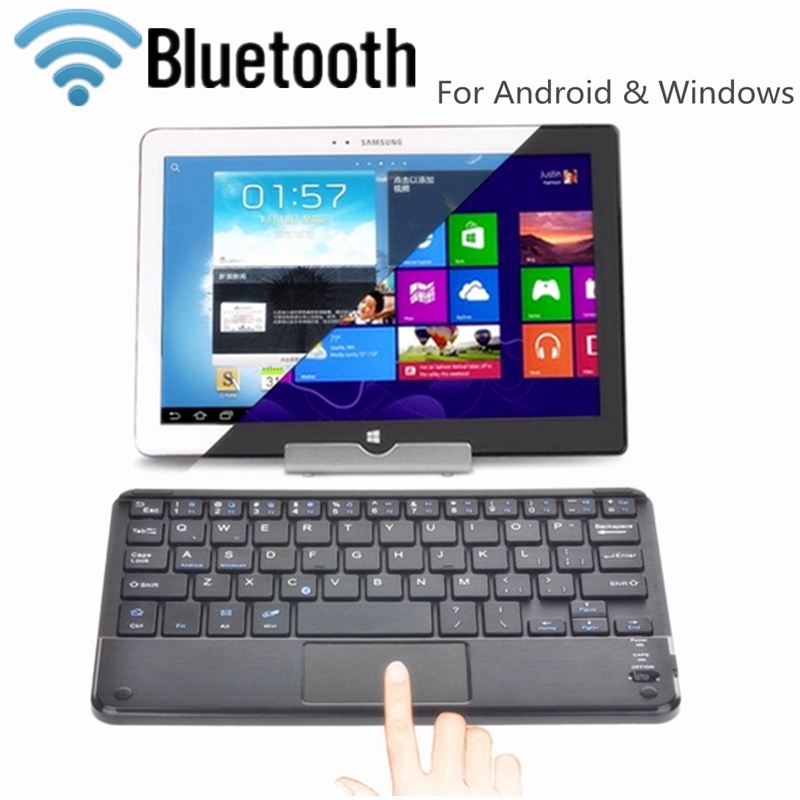 Turn on the Bluetooth keyboard power switch, the Bluetooth indicator light will be on 5 seconds the go off. 2. 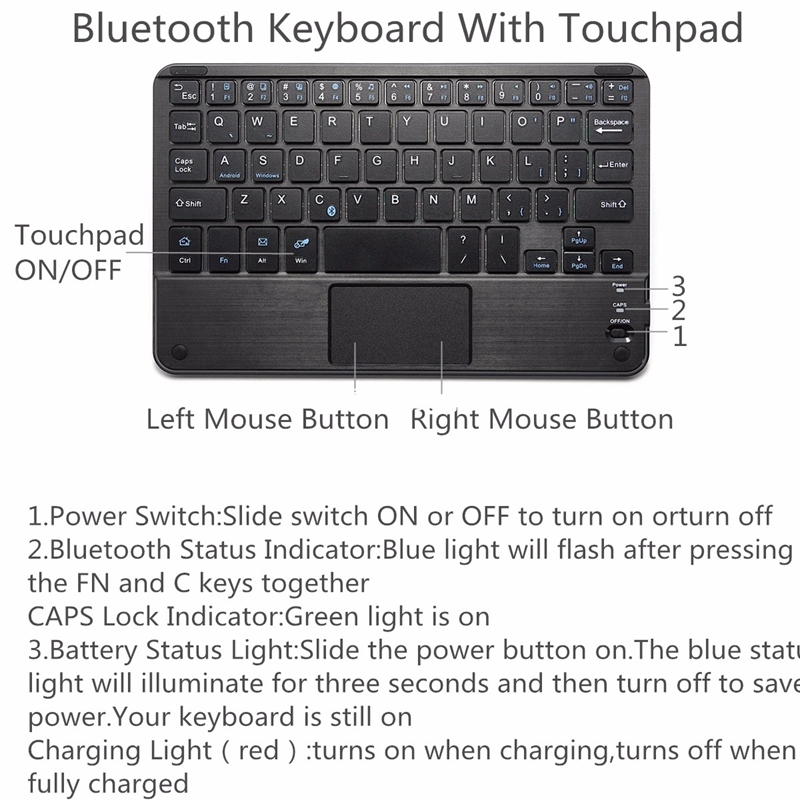 Press "FN + C (Bluetooth symbol)" (matching keys) for 2 seconds, Bluetooth pairing light will be brinking,the keyboard is now ready to be connected. 4. Discovering the Bluetooth keyboard name“Bluetooth 3.0 keyboard”, click "Connect"
5. The word “connect ”shows means that the Keyboard connection is successful, the pairing indicator goes off.